Delboy's Radio Blog: NEW Baofeng DM-1703? 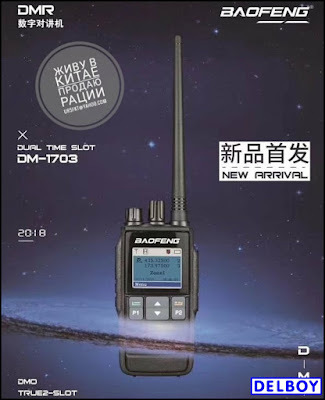 Spotted this online but can't find much about it.... another DMR radio from Baofeng. The Baofeng DM-1703 is a dual band, waterproof DMR handheld expected to come into production in the coming months so keep your eyes open for further details.